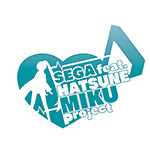 SAN FRANCISCO & LONDON – November 6, 2013 – SEGA of America, Inc. and SEGA Europe today announced that Hatsune Miku: Project DIVA f will be available for digital download on the PlayStation Vita handheld entertainment system in North America and in Europe via Playstation Network. The launch of Hatsune Miku: Project DIVA F on the PlayStation 3 computer entertainment system was the first console game released for the franchise and was well received in the West. As a result of this successful reception, the PlayStation Vita version of the game will be available for players on-the-go and will offer the same songs and features of the original version in early 2014. 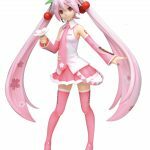 Hatsune Miku, produced by Crypton Future Media,INC., is the world’s most popular digital singer and her popularity continues to increase in the West. 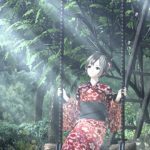 She had over 950,000 dedicated fans outside of Japan on Facebook when we announced the PlayStation 3 computer entertainment system version back in June. She now has more than 1.5 million fans outside of Japan to date. Hatsune Miku: Project DIVA f is slated for release on PlayStation Vita handheld entertainment system via digital download on PlayStation Network in early 2014. For more information about the game, please visit www.sega.com; to download SEGA game assets, please visit www.sega-press.com. ★6/7（金）：Announcing Hatsune Miku: Project DIVA F for Western Release! ★6/12（水）：Hatsune Miku: Project DIVA F Demo available on PSN this week! Hatsune Miku: Project DIVA F arrives on August 27th for Playstation 3! At long last, Hatsune Miku: Project DIVA F is here!